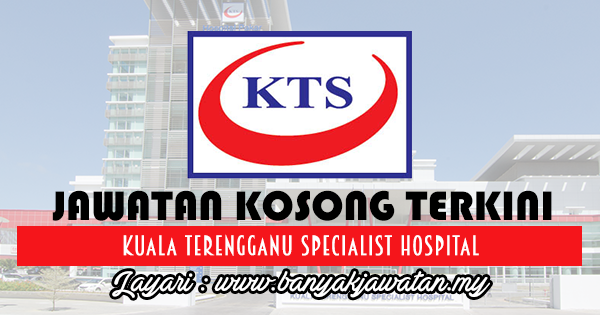 Kuala Terengganu Specialist Hospital (KTS) is a 33-bed multi-discipline community specialist hospital providing healthcare service since 2006. 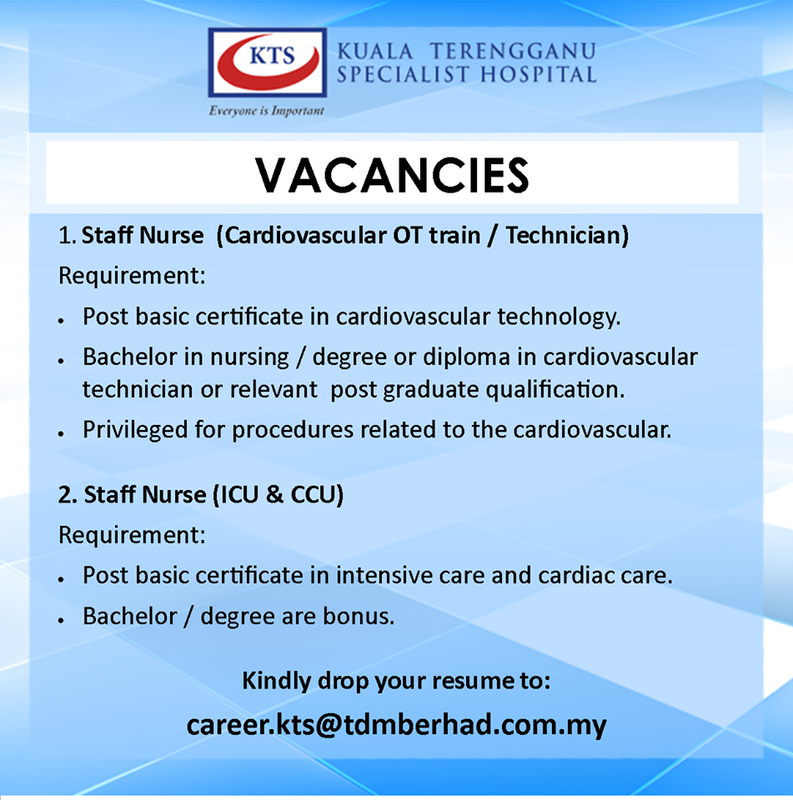 Strategically situated in the heart of Kuala Terengganu, KTS is equipped with the modern facilities and equipment to provide effective service and treatment to patients. Since its establishment, KTS has treated over 120,000 outpatients and inpatients. KTS aims to be the hospital of choice by offering a wide range of services: 24-hours Accident & Emergency Services, Gastroenterology, General Medicine, General Surgery, Obstetrics & Gynaecology, Orthopaedic, Paediatric and Radiology. *Sila baca syarat kelayakan melalui poster di bawah. 1 Response to "Jawatan Kosong di Kuala Terengganu Specialist Hospital - Segera"